Today, 02 Nov 2010 HAIO formed DOJI candlestick. Will it rebound? 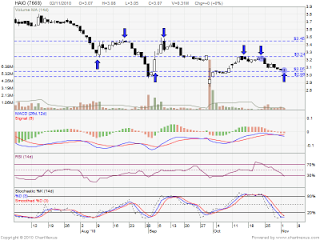 Or future retrace down? 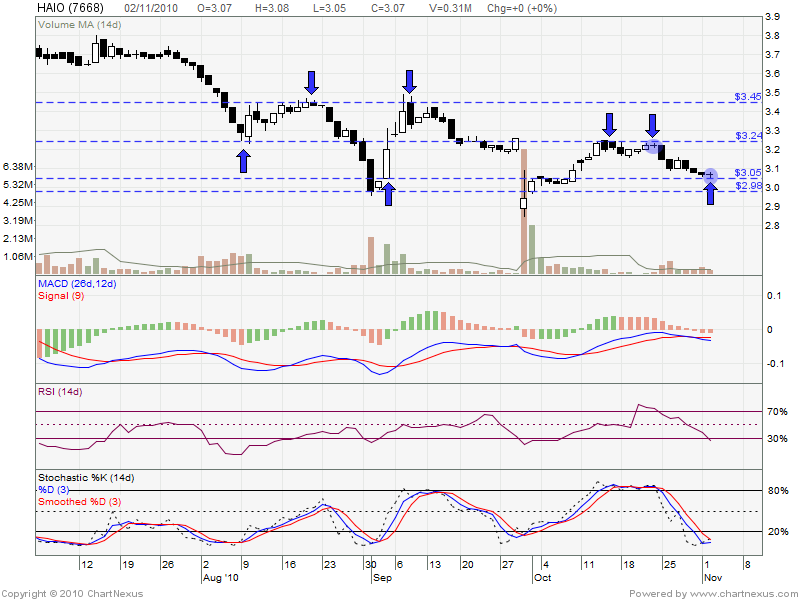 Expected will boost up the stock price before ex-date.